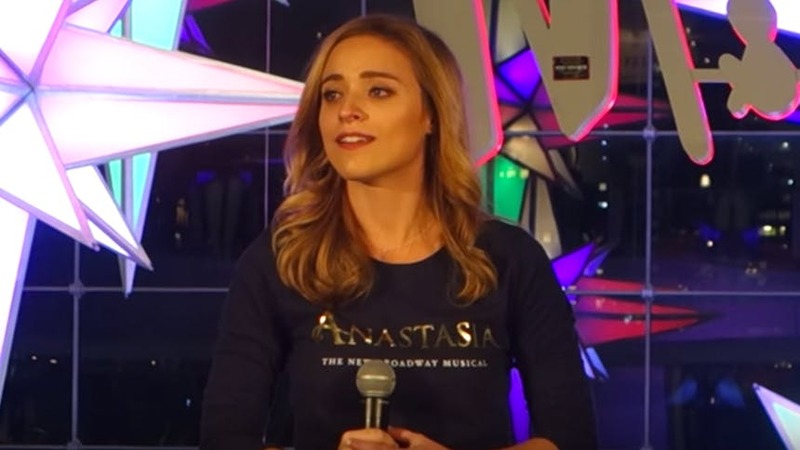 Hot Clip of the Day: Anastasia Leading Lady Christy Altomare's Soaring "Journey to the Past"
Each day, the Bbox team trolls YouTube for the hot clip—sometimes it's a brand-new moment and sometimes it's a throwback to an oldie but goodie. No matter what praise hands are shot up, pearls are clutched and the repeat button is hit. Ulterior Motives: Christy Altomare debuted her "Journey to the Past" at Broadway Under The Stars at the Time Warner Center on November 14. Ultimate   moment: Ok, that was EVERYTHING I wanted/needed it to be. I can't wait until March to see it live at the Broadhurst. Not only is she singing her face off but the acting is completely heartbreaking (1:41/2:10). Seriously on repeat all day.